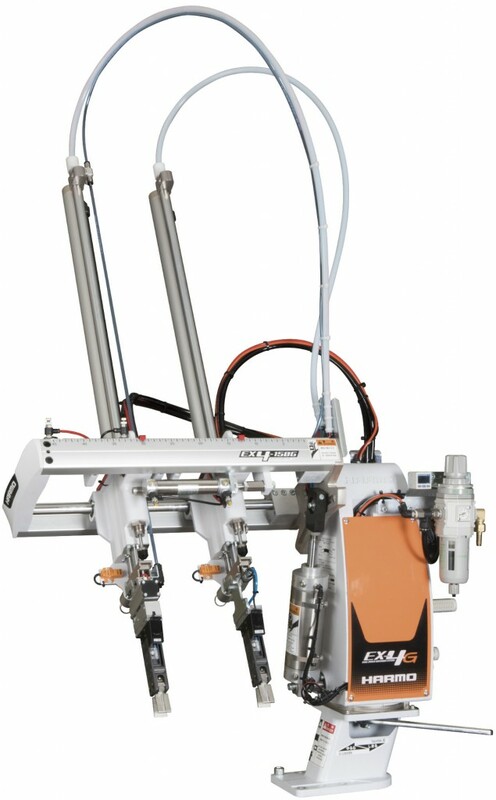 HOME > お知らせ > New Pneumatic Swing Type Sprue Picker “EX4-G” Series! New Pneumatic Swing Type Sprue Picker “EX4-G” Series! Introducing the newly improving pneumatic swing type sprue picker, “EX4-G” series! Vacuum Ejector Equipped (1 circuit). Combining the sliding unit and the cylinder terminal increases the durability and reduces vibration. Wider bore diameter (φ50 to φ63) on the rotational cylinder provides more stable motion. Contact our sales office for the details.